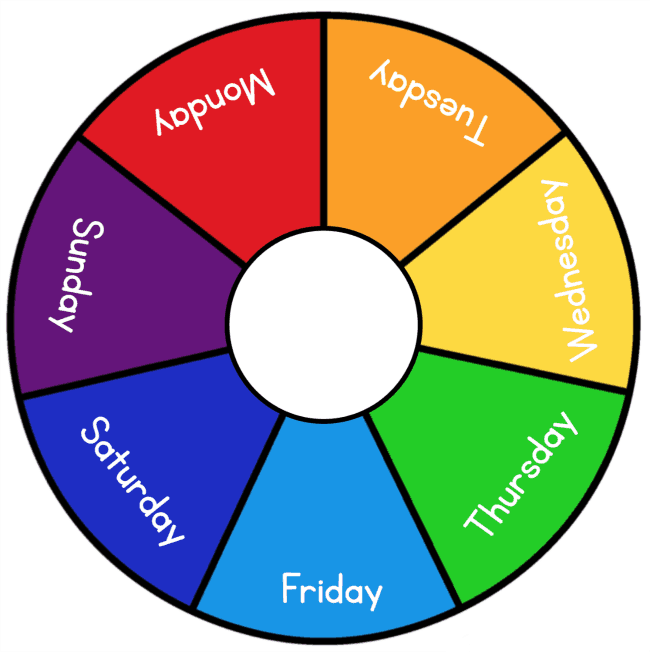 Download your free rainbow colour wheel and days of the week printable wheel here. Learning about colors or the days of the week? Download this color wheel printable to play games to help your children match and remember sequences. This download is available free to all NurtureStore members. 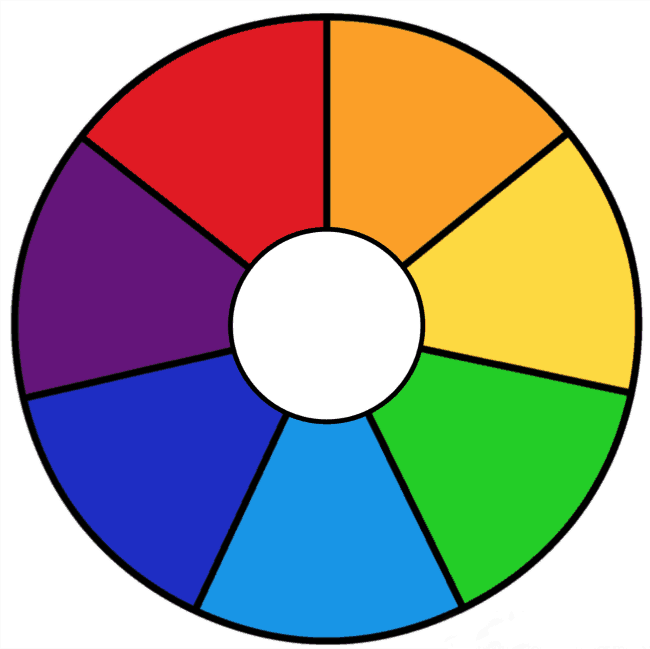 There are three variations of this color wheel available. :: Version one is a simple rainbow color wheel, split into seven sections – one for each color of the rainbow. Pair this with clothes pegs/pins that have a colored dot on the end to create a rainbow color matching game for your child. You can use colored stickers or marker pens to make your set of rainbow pegs/pins. :: Version two is the basic rainbow color wheel but also has the color names printed on each section. This is great for children who are beginning to work with words and reading. Again, use a set of clothes pegs/pins to create a matching game, writing a day of the week on each peg/pin. :: Version three is the rainbow wheel again but this time with the seven days of the week written on. This makes a fun little days of the week matching game to help children remember the days, and sequence them. Pair this days of the week wheel with seven pegs/pins each with the name of a day of the week written on. 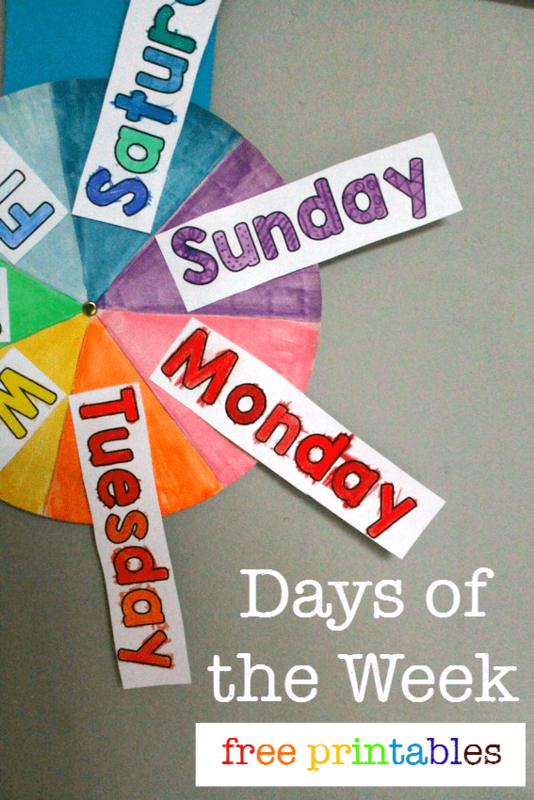 If you’re working on the days of the week, don’t miss my fun Days of the Week spinner printable! If your children like to play matching games, don’t miss my printable number wheel cards. This number wheel printable includes a 1 – 10 set and a 11-20 set and helps your child understand the ideas of counting, one-to-one correspondence, amounts, and bigger / smaller values. 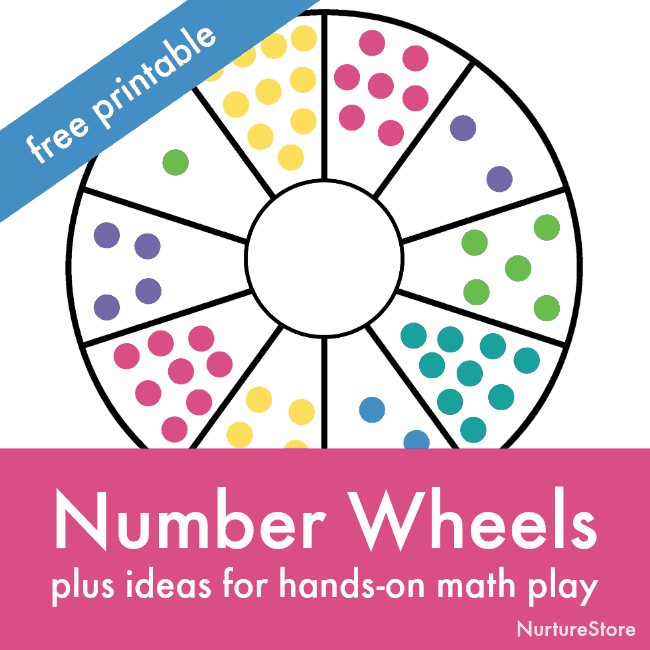 Get your number wheel printable here.